The athlete who brought us to the sport … Allure Homme Sport. Fragrances with sports connotations have always existed and some have long been part of the heritage of the perfumery (Eau d’Oranges Vertes, Vetiver, …). 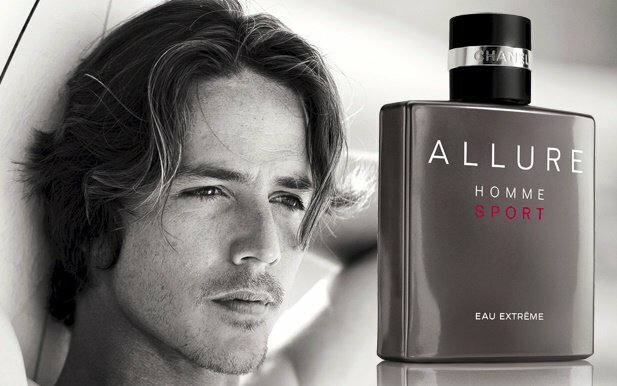 However, none had previously met the success of Allure Homme Sport, except Polo Sport by Ralph Lauren but this one only in the U.S. Launched in 2004, the fragrance is in the Top 5 best-selling men’s fragrances in the world. To revitalize the franchise, after the launch of Bleu de Chanel which has eclipsed Allure Homme Sport from the spotlights, the brand decided to launch an Eau Extreme, a more muscular and bold reinterpretation of the original fragrance. And for this variation, the brand decided to put the dishes in the main with a new commercial directed by Kathryn Bigelow and Danny Fuller as the face, professional surfer and photographer. The choice of the Oscar-winning director for The Hurt Locker is explained by her affinity with the sport and her cult film Point Break with Keanu Reeves & Patrick Schwaize. To discover in stores the 1st of March. This entry was posted in Masculine Fragrances and tagged masculine, perfume. Bookmark the permalink.